Instant sun protection, with style. 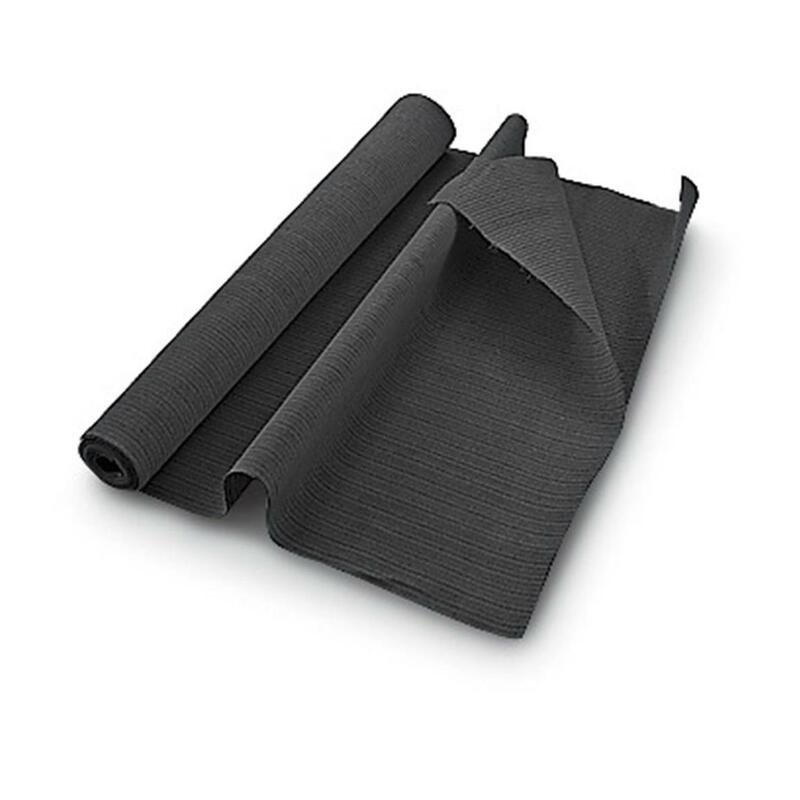 Our CASTLECREEK® Sun Screen Fabric blocks out sun and heat, lowering temperatures by 15ºF. 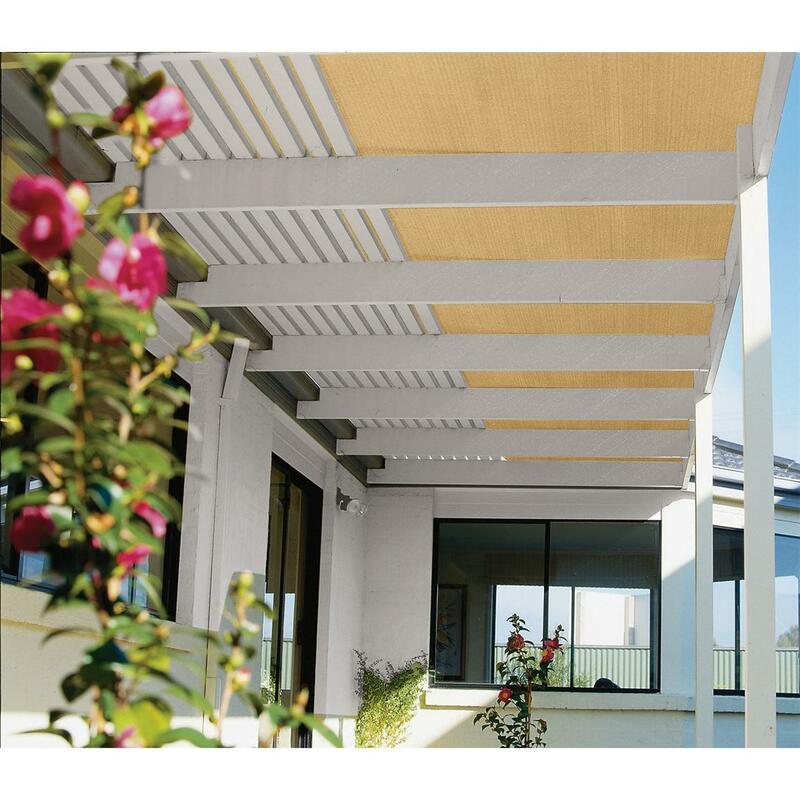 It's do-it-yourself custom shade privacy windscreen, specially designed to breathe, allowing air to flow through freely. Also blocks 60% of harmful UV rays to keep you comfortable and safe outside. Perfect for over a pergola, alongside fencing, over windows, anywhere. Beat the heat with this durable sun shield! Order Today! 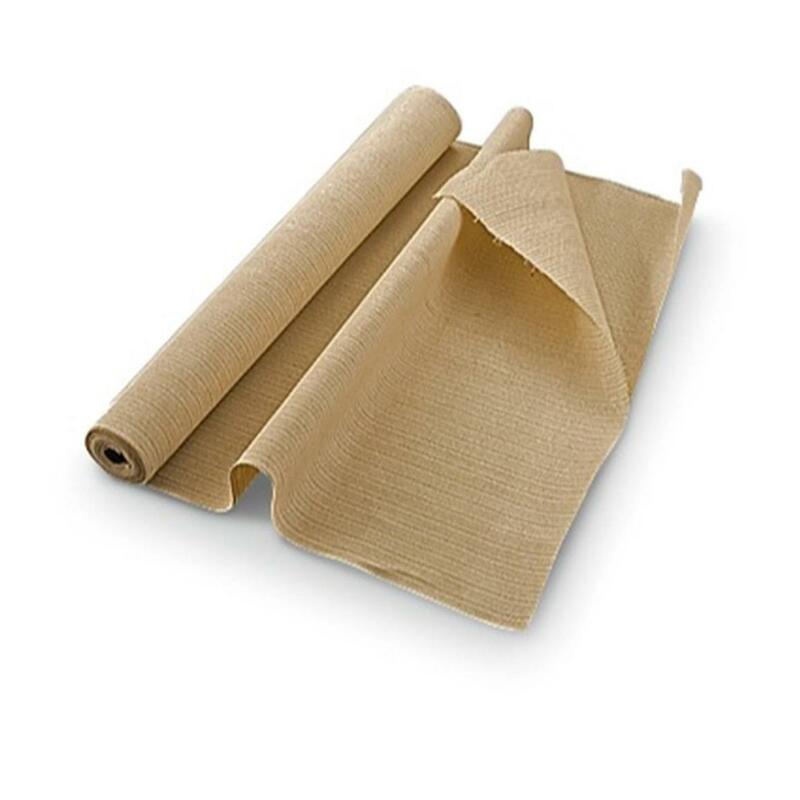 CASTLECREEK Sun Screen Fabric, 15 x 6 is rated 4.8 out of 5 by 31. Rated 5 out of 5 by bearclansami from Multi Use Screen Fabric Hot sun in bay window ruined any curtain fabric used there. Plants could burn to a crisp if unprotected even during wintertime.bearFixed the problems in a snap with this material via clever and simple construction. It now offers privacy, UV protection for my plants and me.Not fussy looking suits me, and the cost can't be beat. I have a new project, and now back for more! Rated 5 out of 5 by Carly from This fabric is exactly what I needed to cool an upstairs, sun-facing room down! I have a room upstairs and it faces east so it gets hot in the morning with the rising sun and that heat stays all day so I went looking for something to block the heat and found this amazing product! It has worked 100% like I hoped it would. I hung it outside and now this room stays much much cooler all day. Thank you Sportsman's Guide! Rated 5 out of 5 by MrsRo from Durable & fade resistant We made wind barriers - slipped onto 1" pipe - for the covered porch. Winds can get to +50 MPH - with summer radiant heat upwards of 120 degrees. After 2 years - they hadn't faded - stretched out - torn - or shown areas of weakening or rot. I am currently using this material to make a set of arbor screens for a family in Albuquerque. I expect them to weather the even higher temperatures & sun exposure for years. Rated 5 out of 5 by Lolly from Awesome! Amazing quality. Just what I needed! 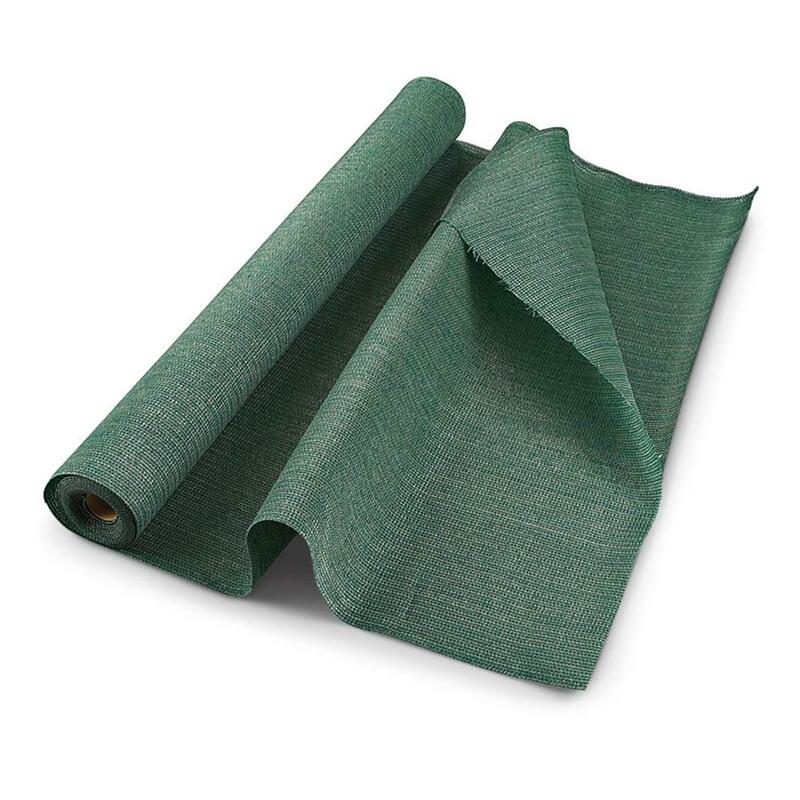 Rated 5 out of 5 by networkman from Great price This is an excellent sunscreen fabric, if the size is right for your application (6 X 15).I used several packages to weave it through the ceiling of a pergola for sun blockage. Rated 5 out of 5 by cheese26 from great price We got the shade we were looking for. Nice and light lets air thru.